Additionally, site specific posttranslational modification and incorporation of unnatural amino acids into proteins remains a challenge. Solid-phase peptide synthesis which serves as the base for protein chemical synthesis, developed in the 1960s by Bruce Merrifield, is the most powerful method of peptide synthesis nowadays. This technique allows the straightforward introduction of unnatural amino acids and post-translational modifications (PTMs) into the peptide sequence. 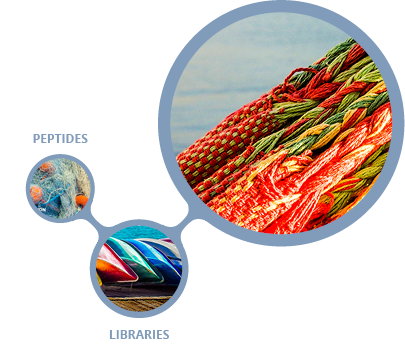 Despite its many advantages, SPPS is limited by the length of peptide. Peptide longer than ~ 50 amino acid residues are often difficult to synthesize by SPPS. The major breakthrough in the field was the Native Chemical Ligation (NCL), developed by the Kent laboratory, which allows the synthesis of longer peptide chains. This chemical approach consists of coupling of unprotected peptide fragments: peptide with N-terminal cysteine reacts with a C-terminal thioester peptide. This transthioesterification step is very specific and proceeds in an aqueous buffer at neutral pH. This reaction is rapidly followed by an intramolecular S,N-acyl shift that leads to the formation of a native amide bond at the ligation site. NCL in conjugation with SPPS can be used to make functional proteins that are ~250 amino acids in length.